For over 45 years, the Building Service Contractors Association International (BSCAI) has been the Business Resource for Contractors™. BSCAI represents a worldwide network of more than 1,000 member companies from across the United States and 15 countries worldwide that provide cleaning, facility maintenance, security, landscaping and other related services to building owners and managers. The association provides contractor-specific educational programs, individual certifications, publications, a members-only purchasing program, seminars, industry data and research and networking opportunities, all developed specifically for leaders in the building service contracting industry. For more than 16 years, the Professional Retail Store Maintenance Association (PRSM) has been the leading membership organization empowering retail facilities professionals by delivering industry best practices, education, forums and partnerships. PRSM has an actively engaged community of multi-site retailers and reputable vendor partners who value business relationships, lifelong learning, industry credibility and recognition. Members depend on PRSM to help them achieve success and a competitive advantage through quality programs and resources. PABSCO is an organization of Building Service Cleaning Professionals; Industry Vendors that meet bi-monthly and are given the opportunity to Network and obtain assistance in their own fields of business. Our organization is built on Teamwork, Trust, and Goals that will advance the cleaning industry. Our members are dedicated to elevating the Janitorial Professional Standard of our industry by complying with all of the laws, and by insuring that our employees are well trained and properly compensated while providing the best value in janitorial services to our customers. The Association of Residential Cleaning Services, International (ARCSI) was established to assist residential cleaning service owners and professionals in starting, promoting, building and expanding their businesses. ARCSI is committed to providing valuable information to ensure the growth and development of our members’ businesses. 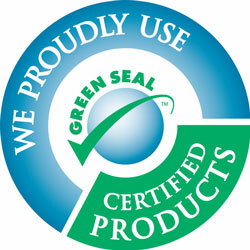 Green Seal is a non-profit organization that uses science-based programs to empower consumers, purchasers and companies to create a more sustainable world.